Color code company mail or use to signal priority or special handling. String and button closure keeps contents secure. 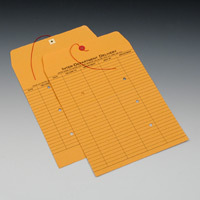 Kraft envelopes are printed on two-sides with space for 52 entries.